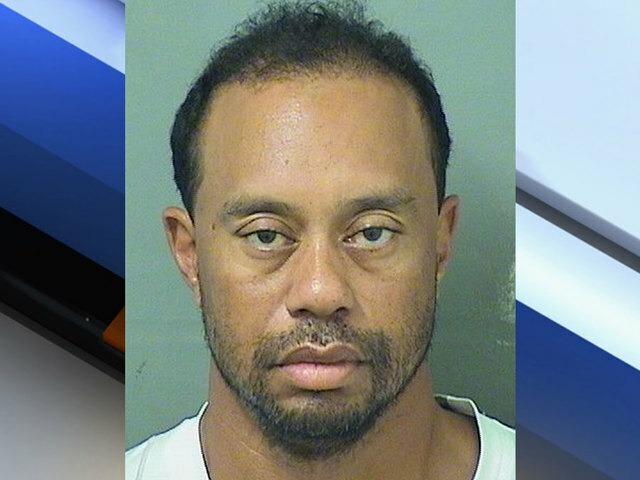 Golfer Tiger Woods was found asleep at the wheel, had to be awakened and was charged with driving under the influence early Monday morning in Jupiter, according to police. Woods said later in a written statement that prescribed medications contributed to the arrest. According to a probable cause affidavit, Woods said he was coming home from California and he did not know where he was. He "had changed his story of where he was going and where he was coming from," a DUI probable cause affidavit noted. He also asked how far he was from his house, the affidavit stated. He was wearing his seat belt, his vehicle was running, the brake lights were on and the right blinker was flashing, according to the police report. Police also noted that both drivers' side tires were flat and there was minor damage to both rims and minor damage to the front driver's side bumper and rear bumper. Woods's attitude was described as cooperative and confused and his speech extremely slow and slurred. His breath test results were .000, the affidavit stated. Police asked Woods to take several standard road sobriety tests. He had trouble standing on one leg and putting his finger to his nose, the report stated. When asked to recite the alphabet and if he understood, Woods said, "Yes, recite entire national anthem backward," according to the affidavit. Police noted that after several times explaining the instructions, Woods completed the task correctly. Woods was driving a 2015 black Mercedes-Benz when he was taken into custody at 3 a.m. on Military Trail south of Indian Creek Parkway. Court documents say there were six witnesses to the arrest. He was also cited for improper parking. His ticket noted his car was stopped on the roadway in the right-hand lane and right shoulder. Palm Beach County Jail records indicate Woods, 41, a Jupiter Island resident, was booked at 7:18 a.m. He was released from custody on his own recognizance, meaning no bail money was necessary, at 10:50 a.m.
A court date for the case has been set for July 5 at 8:30 a.m.
Jack Nicklaus says he feels bad for Woods and called him a friend who needs "all our help." 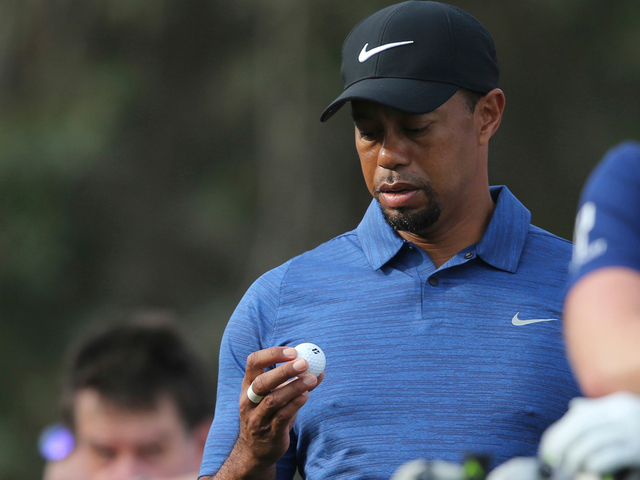 Nicklaus says he last saw Woods at a dinner for past champions at the Masters, and Woods said his back was hurting, according to the Associated Press. At a news conference Tuesday at the Memorial in Dublin, Ohio, Nicklaus said he was a fan of Woods and a friend of his. "I think that he's struggling. And I wish him well," Nicklaus said. "I hope he gets out of it and I hope he plays golf again. He needs a lot of support from a lot of people, and I'll be one of them," the AP reported. “I understand the severity of what I did and I take full responsibility for my actions. I want the public to know that alcohol was not involved. What happened was an unexpected reaction to prescribed medications. I didn’t realize the mix of medications had affected me so strongly. I would like to apologize with all my heart to my family, friends and the fans. I expect more from myself too. I will do everything in my power to ensure this never happens again.